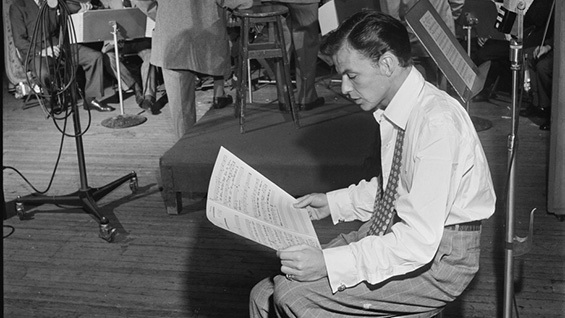 In a free, public event the poet and critic David Lehman discusses his new book, Sinatra's Century: One Hundred Notes on the Man and His World, a warmly celebratory collection of one hundred short reflections on the man, his music, and his larger-than-life story. David Lehman is the founder and longtime editor of the Best American Poetry series and the editor of the influential Oxford Book of American Poetry. Along with several volumes of poetry, he is also the author of books of cultural criticism including A Fine Romance: Jewish Songwriters, American Songs (2009), The Last Avant-Garde: The Making of the New York School of Poets (1998), and Signs of the Times: Deconstruction and the Fall of Paul de Man (1991). His honors include fellowships from the Guggenheim Foundation and the National Endowment for the Arts and an award in literature from the American Academy of Arts and Letters.